In my last post to you, I’ve described what happens when your inner masculine is in balance – and what it looks and feels like when he gets out of balance. Now you’re probably wondering about your feminine. Yup, we all have an inner feminine (guys, spend a moment entertaining yourself by imagining her). When she’s in balance, there’s a quality in your life of resting in being – simply being in the enjoyment of life’s rich and varied experiences, felt through the body and the heart. You feel inspired and creativity flows in surprising directions. Spontaneity and instinct takes you on magnificent inner and outer adventures. You live a life that is deeply connected to the bigger flow of life around you, and your actions are motivated by love and care for all. But, as with the masculine, it can happen that the feminine takes over. I’ll describe to you the feeling of it, from my own experience, from witnessing friends and clients, and from tuning into my female ancestors. Oftentimes, when the feminine takes over, it’s in reaction to the masculine not acknowledging her. 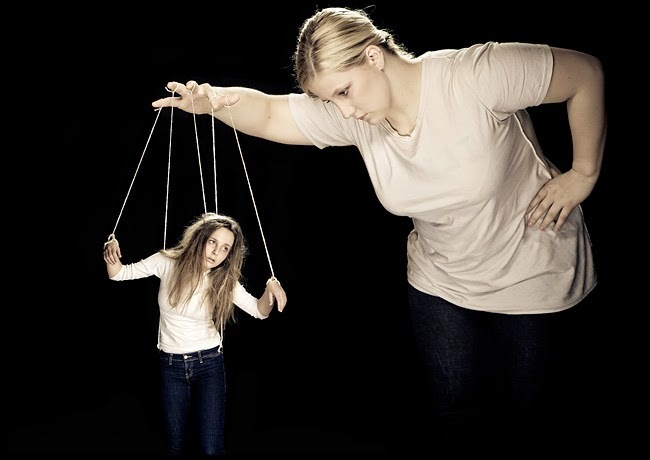 Then she can develop a queendom in which she has no need of him – a false sense of power that is based on spinning webs, surrounding herself by approving cronies, and mastering the art of emotional manipulation. In fact, she becomes so intrigued by her ability to beguile others with a show of emotions, that she works out complex strategies – dropping a hint here and a suggestion there – to keep her environment in a befuddled state emotionally, and to keep her safely in charge. In control, like the mothership. The matriarch, who rules with an iron fist. She has no interest in man’s world and disdains ideas of productivity, efficiency and clarity. She can easily stay in her pajamas most the day, and will eat chocolate for breakfast and dinner – because – why not? It feels so good. She is all inspiration, and no action, living in her own idealized dream world and lamenting that the world is not supporting her in manifesting this. Can you recognize the out-of-balance feminine anywhere in your life? She’ll probably not take so kindly to being seen in the light of clarity. But, like the out-of-balance masculine, she’ll start to suffer at some point (run out of money/overdose on chocolate/find she is alienating people), and this may have her interested in discovering what else is possible. Then the conversation can begin. Between him and her, inside of you. I have developed a way of facilitating this conversation that has changed the lives of many, and I’m happy to be sharing that with you soon.